Surf Office has already hosted 9 satisfied teams of Automatticians. A specialized organiser of productive team offsites for distributed teams. 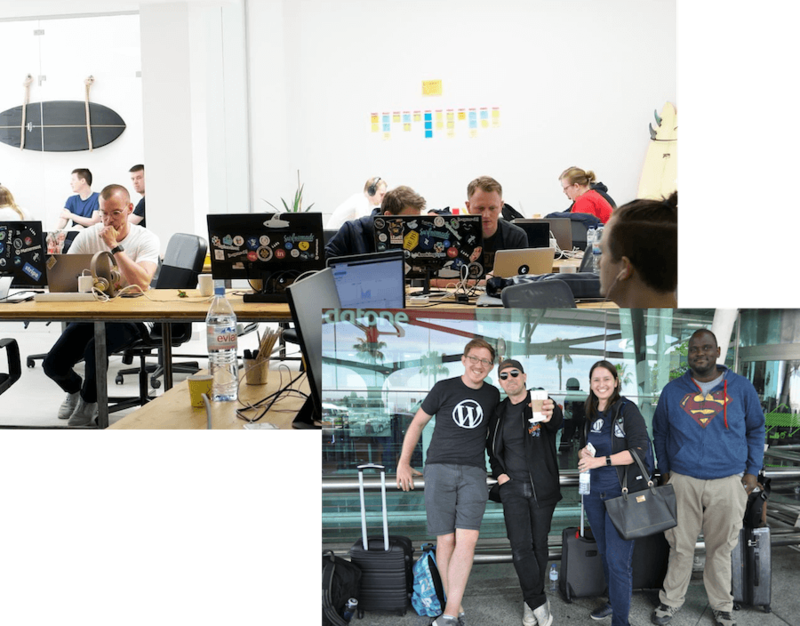 Why spend time organising a retreat when you can manage a team or write code? 100% secure and backed up internet, professional and timely workspace. Surf Office has hosted 8 satisfied teams from Automattic in Lisbon. We understand the traditional hospitality check-in after 2 pm is not convenient for a distributed team coming in from all over the globe. We’ll have someone at the workspace at all times to receive guests and check you into the accommodation as early as possible. Organizing a local meetup: Be it for hiring or networking purposes, we have a strong local community of tech people and remote workers in most Surf Office locations and can easily put together a meetup like the one for a previous Automattic group in Lisbon. We’ll book an epic (and tested) restaurant next to the retreat venue which has meals with all dietary options available so your team can relax and connect on your first night in town.